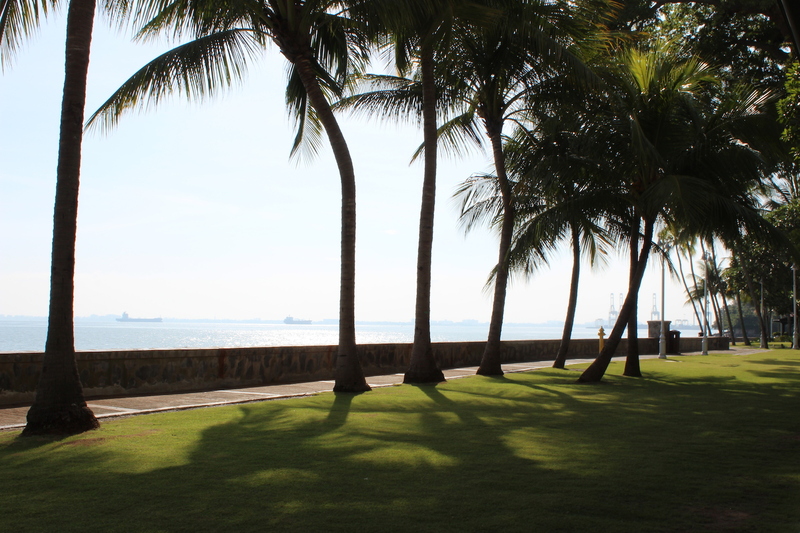 View of the Malacca Straits from the Grounds of the E & O Hotel in Penang. 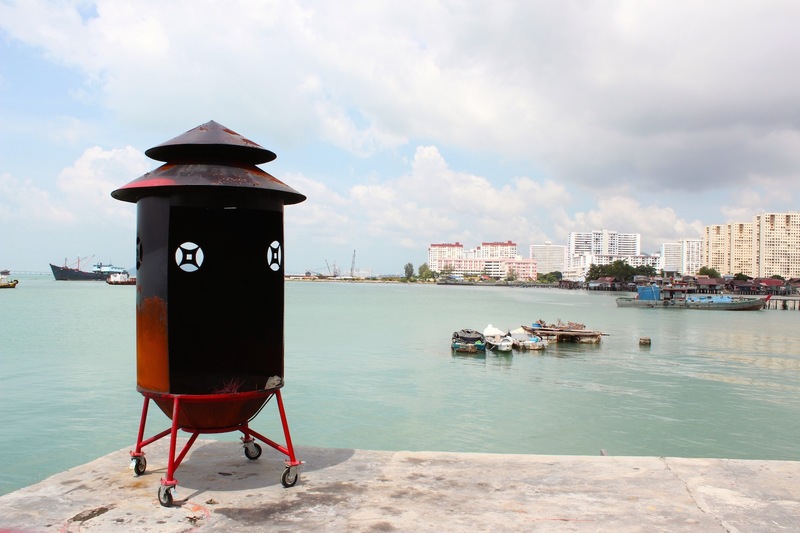 ✑ A walk down Jalan Masjid Kapitan Keling – Penang’s “Street of Harmony” – and a visit to the stunning Khoo Kongsi Temple Complex. 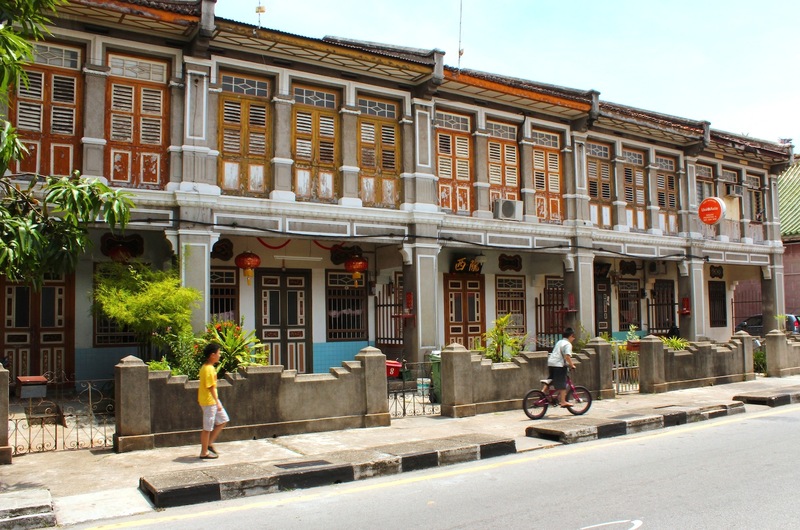 ✑ A leisurely saunter down Armenian Street for the beautifully restored colonial-era shophouses and the graffiti/public art. ✑ A sprightly jaunt around the Padang to the northern edge of Beach Street, for the air of colonial authenticity, and for the monumental civic and commercial architecture. 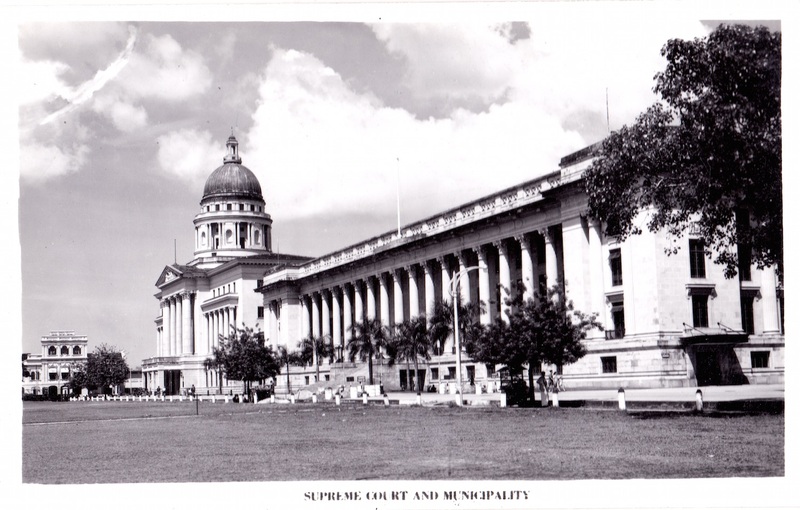 Look out for Town Hall and City Hall, and the Standard Chartered Bank Building. 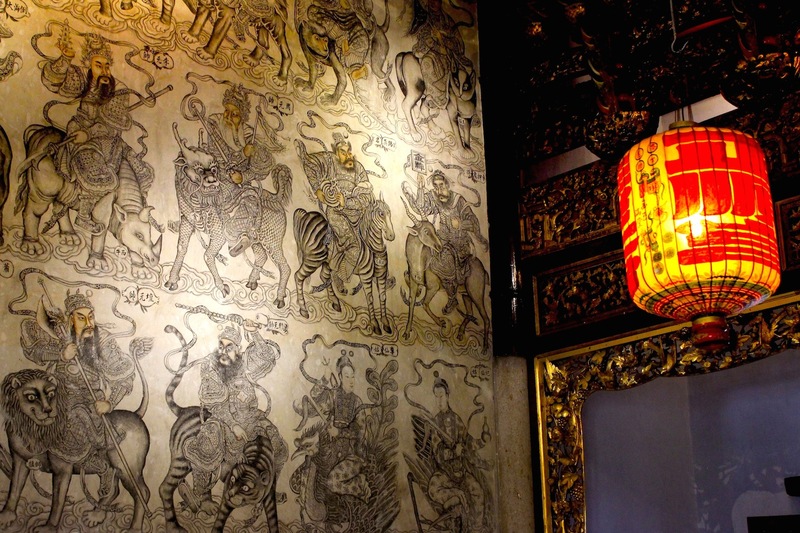 ✑ The Pinang Peranakan Mansion, for the gloriously over-the-top interiors and the stories of matriarchs and their rebellious progeny. The Cheong Fatt Sze, or Blue Mansion, is equally stunning on the outside but far less well furnished inside. And of course, stay at the magnificent Eastern & Oriental Hotel (the E & O to locals) for the stunning view of the Malacca Straits from the longest seafront promenade anywhere in the city. Town Hall, at the Padang. Traditional shophouses along Armenian Street. 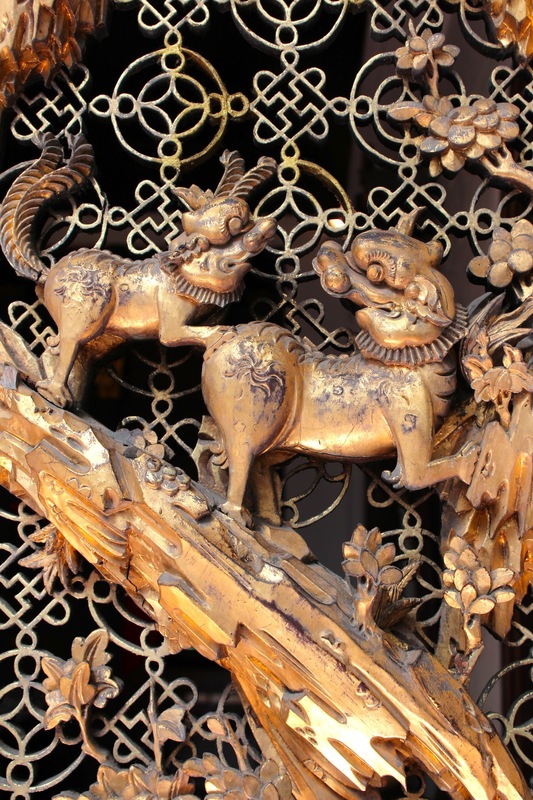 Interior of the Khoo Kongsi Temple. The edge of the Chew Clan Jetty. 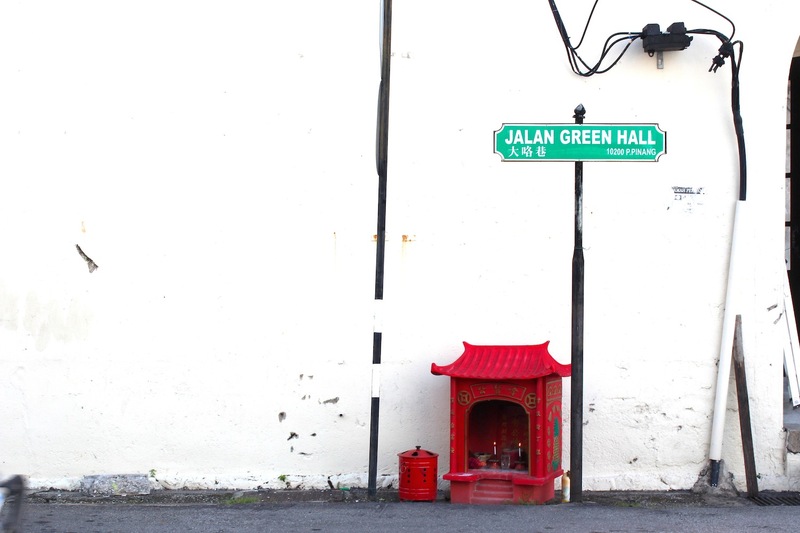 Jalan Green Hall – an image which demonstrates Georgetown’s multi-cultural nature. The Facade of the Eastern & Oriental Hotel (built in 1885) today. 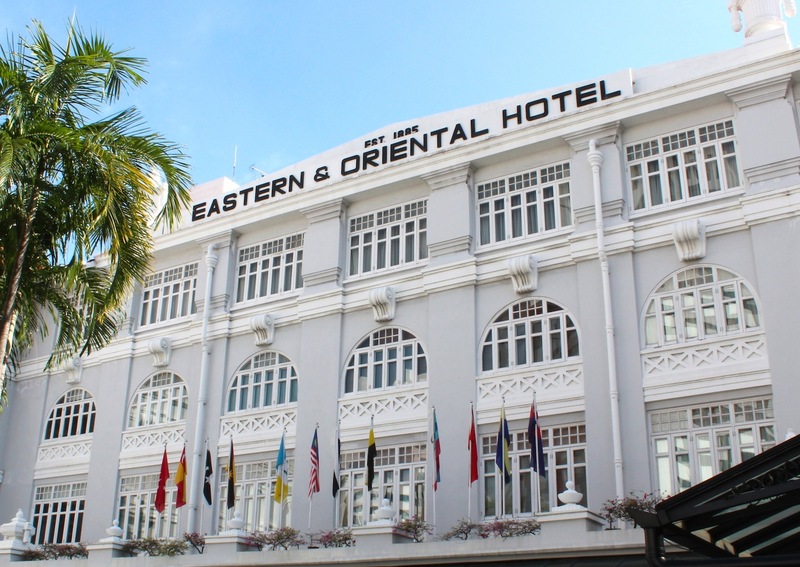 In Penang, stay at the Eastern & Oriental Hotel – the grande dame of the city’s hospitality scene since 1885, when it was established by the illustrious Sarkies Brothers. 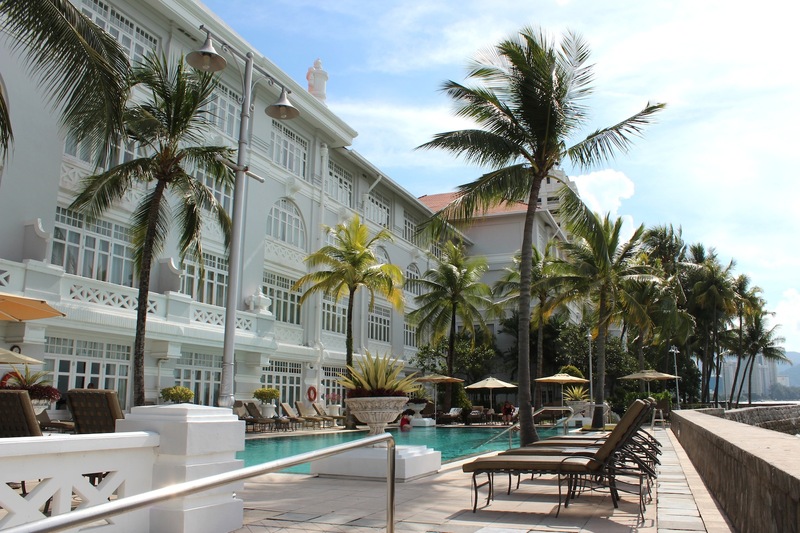 This is the sister hotel to the Raffles Hotel in Singapore and the Strand Hotel in Rangoon, and a close cousin to the present Hotel Majapahit in Surabaya. 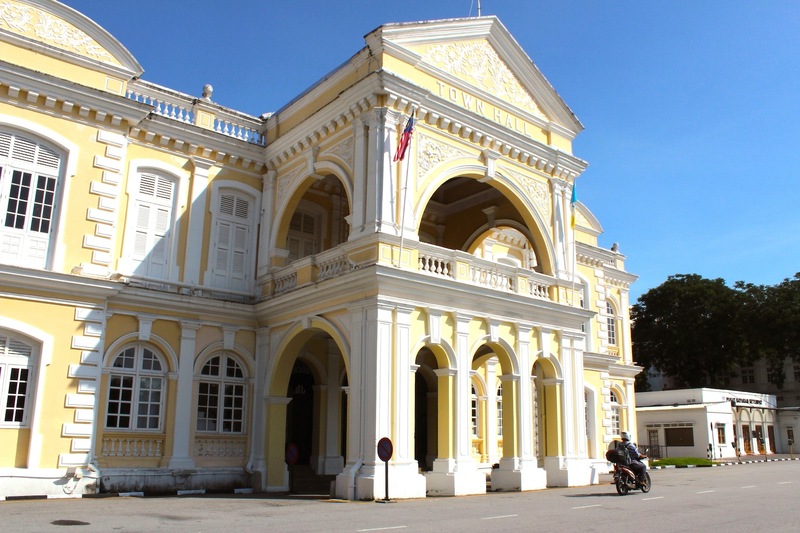 In its time, The E & O – as it is familiarly known to Penangites – played host to nobility and heads of state as well as literary and cinematic greats, such as British authors Somerset Maugham and Rudyard Kipling and American movie stars Charlie Chaplin and Douglas Fairbanks. The E & O is the second stop on our Grand Tour of Southeast Asia. 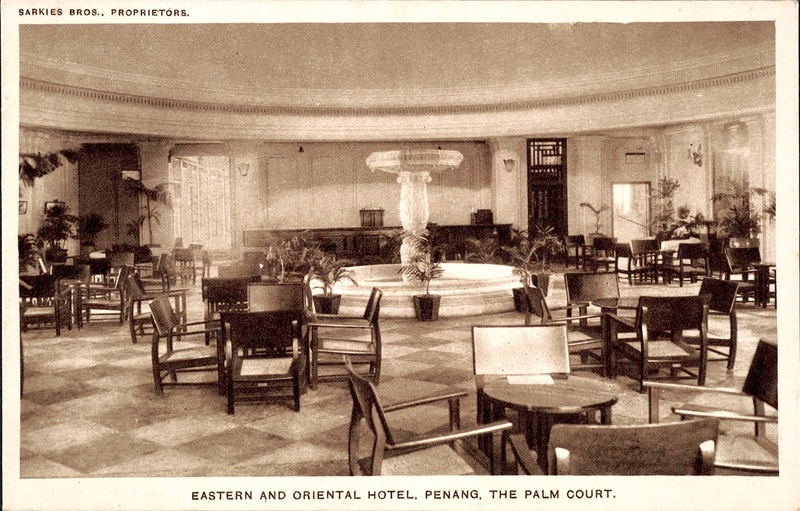 Period postcard views from the early 1900s, and photographs from today show that it hasn’t changed much in spirit and ambience in 100 years, though of course, the E & O today has all the fittings of a modern hotel – in particular its swimming pool set right by sea along the hotel’s seafront promenade. Be sure to opt for one of the sea-facing suites with attached balcony, if only to wake up to spectacular views of the Malacca Straits and the ships bringing cargo from afar, exactly like they have done so for two centuries. The Romance of the Grand Tour – 100 Years of Travel in Southeast Asia will be available from 15 April onwards at all major bookstores in Southeast Asia and Hong Kong, as well as at hotels featured in the book. It will also be available online at http://www.amazon.co.uk. 1900s view of the famous Palm Court, with its fountain and whispering dome (guests seated underneath the dome could hear conversations occuring across the room). 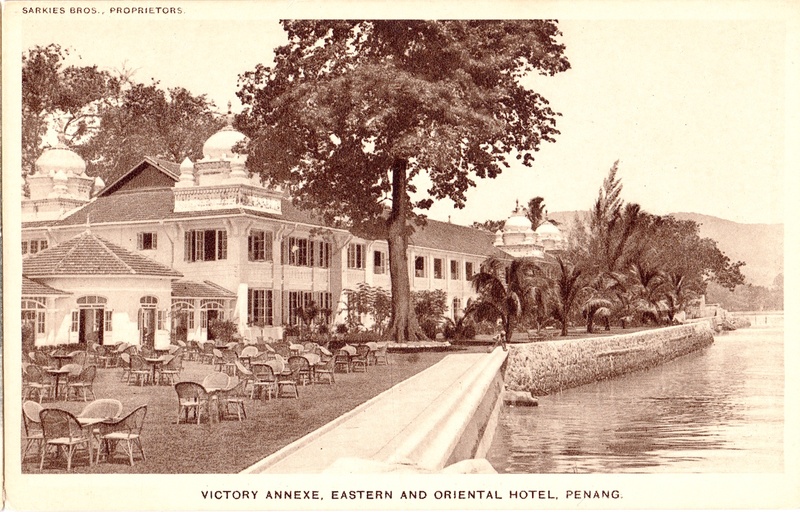 1900s view of the E & O’s back-lawn facing the Malacca Straits, and its Victory Annexe. The E & O’s back-lawn was turned into a swimming pool in the ’50s and remains so today.